Gearing up to get your culture fix, well this years Culture Night will definitely give you just that. In SO Fine Art Editions our doors will be open until 9pm, which gives plenty of time to take a look around our collection of fine art prints, applied arts, photography and sculpture and take in talks and demos by some of our artists. At 6.30pm Sligo-born artist Kate Mac Donagh will showcase the printmaking of traditional Japanese woodblock (Mokuhanga). At 7.30pm applied artist Cecilia Moore will discuss the making of her unique sculptural patinated copper vessels. Keep an eye on our Facebook, Twitter and Instagram pages for more info. Culture Night in Dublin is almost here. This annual event will be held on Friday, September 19, with special hours and events at cultural organisations and venues around the city. SO Fine Art Editions will keep the doors open late, making it the perfect chance to view fine artworks, including our current exhibition Amárach/Interplay. 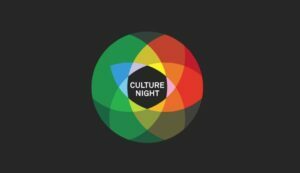 For information on events happening during Culture Night in Dublin a programme is available here. You can follow SO Fine Art Editions on Twitter and Facebook for more details on our Culture Night activities.